Simple, yet so very elegant. 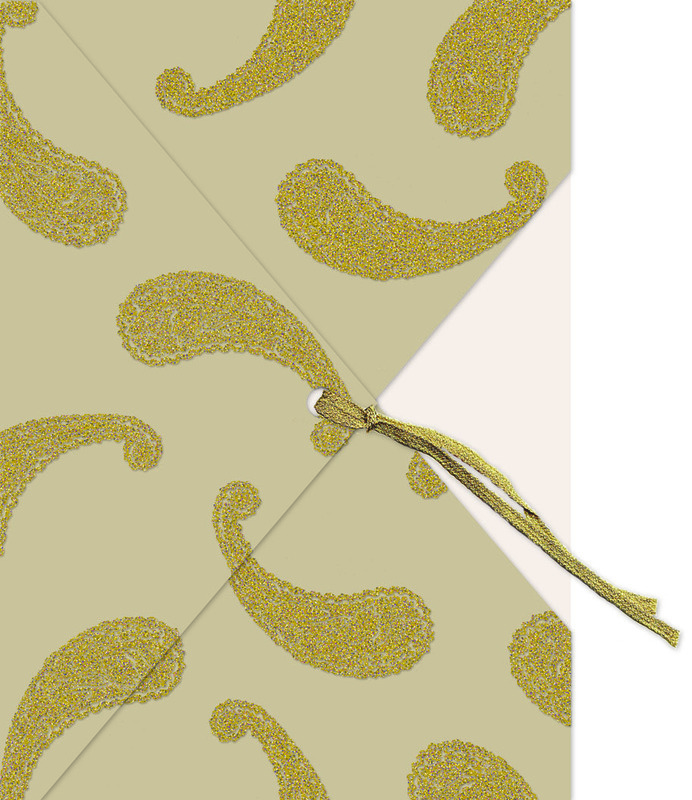 A gold paisley envelope embelished with glitter is folded and tied with gold ribbon around a solid pearl high gloss sheet. 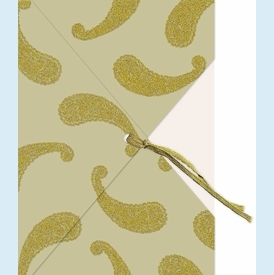 Perfect for any type of formal affair. Customer assembly required. NOTE: Only 5 sets left!